Mangaluru, July 14, 2016: For Catholic faithful in Udupi District it is indeed a boon. 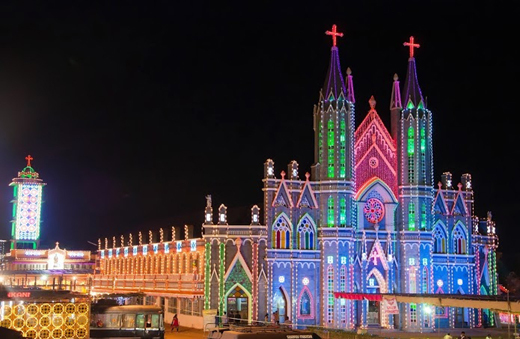 Pope Francis elevated one of the most renowned shrines of South India - St Lawrence Shrine of Attur in Karkala - to status of ’Minor Basilica’ - the dedication of the Minor Basilica to the faithful will be held at Karkala on Aug 1. Syro Malankara Catholic Church Major Arch Bishop Cardinal Baselios Cleemis will make an official announcement in Latin and Udupi Diocese Bishop Most Rev Jerald Isaac in Konkani and dedicate it to the service of the believers. With this, St Lawrence Minor Basilica will be the second Minor Basilica in Karnataka, after the renowned St Mary’s Minor Basilica, Shivajinagar, Bengaluru. In all, there are 21 Minor Basilicas in India, of which the most renowned are Basilica of Our Lady of Good Health , Vailankanni and Our Lady of Lourdes Basilica, Poondi in Tamil Nadu, Mount Mary in Mumbai and Bom Jesus in Old Goa. The announcement would be observed in a festive way with appropriate prayer vigils and other celebrations. The start would be with a Holy Mass at 10am followed by a public programme at 11.45am. on August 1, 2016. The ceremony would be attended by Bengaluru Arch Bishop Rt Rev Bernard Moras, Ernakulam Syro Malabar Catholic Church Major Arch Bishop Cardinal Mar George Alencherry, Ranchi Arch Bishop Cardinal Telespore Placidus Toppo and Mangalore Bishop Rev Aloysius Paul D’Souza. The Basalica was earlier under the Mangalore Diocese, before Udupi diocese was formed. In a Minor Basilica the liturgical instruction of the faithful is to be promoted by establishing groups concerned with liturgical activity, by special courses of instruction given in a series of conferences, and by other programs of this kind. Among the special activities of a basilica may be especially mentioned the study and popularisation of documents coming from the Supreme Pontiff and the Holy See, especially those pertaining to the sacred liturgy. Note : Shrine of St. Lawrence: St. Lawrence, born in the third century, was grilled to death in a contraption by the orders of the Perfect of Rome. Lawrence had presented the poor, crippled, blind and the suffering before the Perfect saying these were the true treasures of the Church, while Perfect was expecting materialistic wealth. The shrine at Attur is said to be in existence even before 1759, before the arrival of the Portuguese in the area. In AD 1900 Fr. Frank Pereira built a Church near the shrine. 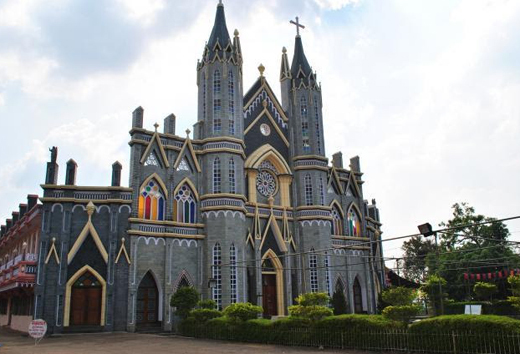 This Church was blessed and inaugurated on January 22, 1901 by the Mangalore Vicar General, Very Rev. Msgr. Frachetti. The faith healings have seen the crowd increase from thousands to lakh in the last few decades.